Jubilee’s Stay Standing course is so much more than gaining confidence and balance. 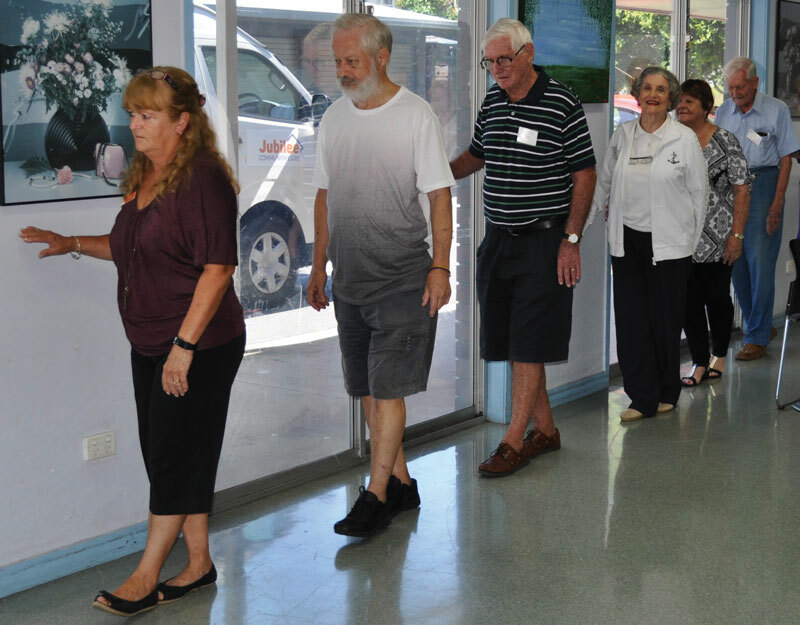 The eight-week course, starting August 17 at Ashgrove Golf Club, empowers people to not only manage their falls risk but also promotes education and positive changes in social and health-related areas. Jubilee’s Stay Standing co-ordinator Sandy Kelly said the group sessions focused on falls contingency planning, home safety, safe and comfortable footwear as well as the individual assessments in the first and last weeks of the course to allow participants to see how they have improved over time. Sandy said other topics included managing chronic pain and continence, safety away from the home, managing medication and sleep, and first aid. Also, a home program of exercises is individually tailored to each participant and morning tea is provided. “The benefits are ongoing and so much more far-reaching than just balance and mobility,’’ Sandy said. “Receiving advice from allied health professionals such as a nurse, dietician, occupational therapist, optometrist, podiatrist, a pharmacist and a police officer throughout the course is invaluable. “Participants also benefit socially. Maintaining community connections, making friends and combating loneliness can be powerful drivers to boost seniors’ health and happiness. Book now for the next Stay Standing course at Ashgrove Golf Club, The Gap, from August 17 to October 5. Phone Jubilee on 3871 3220.